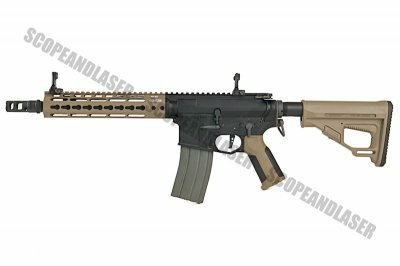 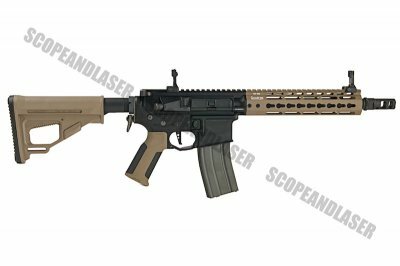 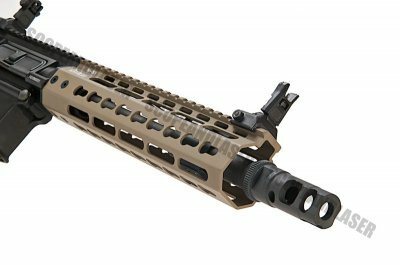 The ARES Octarms X Amoeba M4 Assault Rifle AEG comes in a variety of lengths (this version features a 9 inch rail system) in either tan or black form and is the latest in the line of Amoeba AEGs which we all know to be more reliable than its predecessors. 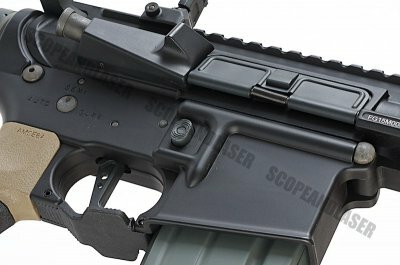 This particular model comes with a metal receiver much like their older ARES models, but has kept with the Amoeba internals knowing how reliable it is. 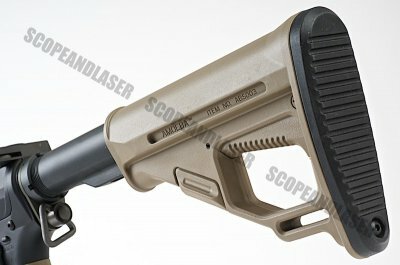 It fits in with their Amoeba line as their receiver hasn't changed but they've managed to add the stylish Amoeba extendable stock, also featuring their brand new Octarms free float hand guard and a unique looking flash hider covering a 14mm CCW thread for mock suppressors and tracer units.